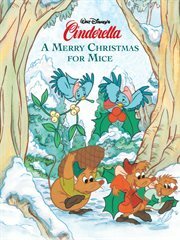 The item A merry Christmas for mice, Disney Book Group, (electronic resource) represents a specific, individual, material embodiment of a distinct intellectual or artistic creation found in Lawrence Public Library. It's Christmas Eve, and Cinderella's wicked stepfamily has left her all alone with a list of chores to do while they're gone! Sad and lonely, Cinderella thinks about how she and her father used to decorate their home and give gifts to their friends. So Cinderella's mice friends Jaq and Gus decide to cheer her up. Don't miss this heartwarming holiday tale about friendship and holiday cheer!